Environmental, age, and genetic factors can all contribute to dull, lifeless skin. At-home treatments may not be powerful enough to help revitalize your skin’s tone and texture. Fraxel® DUAL laser treatments safely treat common skin problems to help resurface the skin and rejuvenate your facial appearance. The skin is cleansed, and a topical anesthetic is applied to the treatment area. Heat from the laser penetrates the skin to stimulate collagen production and cellular turnover. Your technician will focus the treatment on your problem areas for tailored results. Laser treatments are ideal for treating surface wrinkles and fine lines. Treatments are gentle enough to be used around the eyes, on the cheeks, and at the mouth. By stimulating collagen production, laser treatments help smooth and diminish the appearance of wrinkles. Acne scarring and irregular skin texture can affect patients of all skin tones and types. Laser treatments can leave you with smooth skin, and they are gentle enough to be used on the face, neck, chest, and hands. 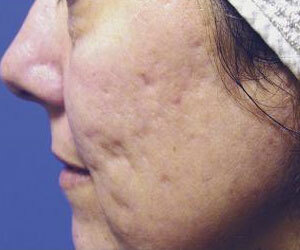 Laser treatments can destroy acne-causing bacteria and improve the appearance of large pores. Patients of all skin tones and types can undergo laser treatments. Treating acne can restore a brighter, clearer complexion. Overexposure to direct sunlight can lead to pigmentation changes in the skin known as sun spots. Fraxel® DUAL laser treatments can break down the damaged cells that cause sun spots. 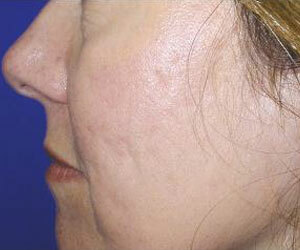 Once healed, your normal pigmentation returns for a more even complexion. Patients can immediately resume their daily activities; however, your skin may appear red and irritated for one to three days. Peeling or flaking can last up to seven days. You should wear a broad-spectrum sunscreen and avoid direct sun exposure throughout your recovery, and laser treatments should be planned at least six weeks before a major event to ensure you heal fully. Laser treatments may result in some mild redness and temporary blistering. It doesn’t create any scars, and all side effects do fade with time. A topical cream is used to minimize discomfort during your procedure. An oral pain medication can be used to alleviate temporary discomfort following your treatment. Fraxel® DUAL lasers have provided over 700,000 safe laser treatments worldwide. Temporary side effects are possible, which can include blistering, redness, flaking, and pigment changes. The cost of your laser treatment will vary depending on the size of the treatment area and length of each session. You may need multiple treatments to achieve your ideal results. ( ) How long do laser treatments typically take to perform? Most treatment sessions take about 20 minutes, but this can be longer or shorter depending on the treatment area. ( ) How many treatments will I need? The average person will need four treatment sessions to achieve their ideal results. These should be spaced four to six weeks apart. It is important you provide yourself with ample time to achieve your desired results prior to a major event. ( ) Can laser treatments improve actinic keratosis? Yes. Laser treatments help break down the protein buildup in the follicles, improving actinic keratosis. ( ) Can I minimize the amount of flaking I experience during recovery? Using a moisturizer throughout your recovery can help reduce the amount of flaking you experience.